After the WRX Concept being unwrapped at the 2013 New York Auto Show, Subaru finally shared the redefined Subaru WRX 2016. 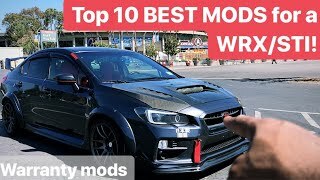 The model is first to come after the company’s announcement regarding separation of Impreza and WRX model design elements. 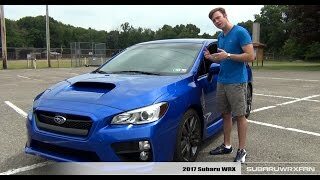 Let us have a look at the review of Subaru WRX 2016 to know more about it. The interior of Subaru WRX 2016 gets more spacious, especially in terms of legroom and trunk space and thanks to the extended wheelbase. Not only this interior is also designed to deliver sportive thrill, with new tech features like the Bluetooth control and the audio controls which now come mounted over the flat bottom three spoke steering wheel. The dashboard too gets updated with the soft touch materials and the same essence further gets carried over the door trim and center console armrest. Talking about infotainment, the model comes equipped with two screens; first is a 3.5 inch LCD screen displaying oil level and gear ratio while the second fulfills the multi-information display through a 4.3 inch LCD screen. In all the interior of Subaru WRX 2016 is classy, smooth and with sufficient gadgets to keep your day comfortable and moving. 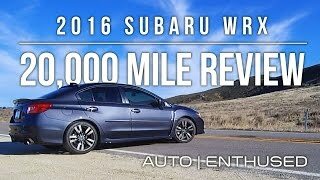 The exterior of Subaru WRX 2016 is an entire overhaul to the predecessor model. Starting with the front fascia there is a deep front spoiler adding to a bolder appearance while the headlights, bumper and the front fenders get a unique design theme. The narrow shaped headlights look aggressive and the carbon-fiber-like pattern surrounding the fog lights complements them commendably. Moving towards the rear, alongside you’ll notice the newly designed side sill spoilers while the LED taillights and the diffuser with the center high-mount spotlight makes your car look sporty. 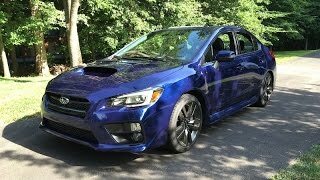 In all rounding up the exterior details of Subaru WRX 2016 I would say it has a sophisticated design theme that looks extremely sporty and aggressive. Beneath the hood of Subaru WRX 2016 is a 2.0 Liter four-cylinder turbo DIT engine generating total output of 268 hp and peak torque of 350 nm paired to six speed manual or sport Lineartronic transmission. 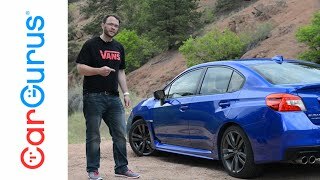 The performance figures of Subaru WRX 2016 are not yet shared but we expect to have them in the near future and thus will recommend you to wait till that time instead of going with the prediction queues.